[Via Satellite 10-09-13] Harris Broadcast appointed Pablo Gargiulo as president of global sales. Gargiulo will report directly to Charlie Vogt, CEO of Harris Broadcast, and will be responsible for leading a newly created global sales organization, which spans 140 countries and 3,000 customers. Gargiulo has a rich background of international sales and organizational leadership, having led global sales organizations, supply chain, customer support, professional services and marketing over the past 25 years across the telecom, MSO and technology sectors. 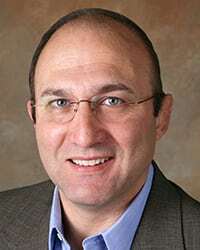 He most recently served as chief operating officer and executive vice president of Xtera Communications and previously held several strategic roles at Genband, Tekelec, Taqua, KTI and Kao Infosystems. Organized into four customer-facing regions – North America, Central/Latin America (CALA), Europe, the Middle East and Africa (EMEA) and South Asia/North Asia (Asia) – Harris Broadcast’s new structure will offer customers more comprehensive and deep sales leadership and operations for each region and support the company’s go-to-market strategies of its four product family pillars: media, networking, playout and transmission. Under this restructuring, Harris Broadcast named the following sales executives to lead the four regions: Chris Ziemer for North America, Nahuel Villegas for CALA, Mathias Eckert for EMEA, and Joe Khodier and JiShun Mei for Asia.